The curl is one of the essential commands to send HTTP requests from UNIX and Linux operating System. curl command is part of the cURL package and it's not just useful to send HTTP request but also allows you to transfer file using FTP and send mail using SMTP. The cURL utility supports many protocols including DICT, FILE, FTP, FTPS, Gopher, HTTP, HTTPS, IMAP, IMAP, LDAPS, LDAP, POP3, POP3S, RTMP, RTSP, SCP, SFTP, SMB, SMTP, SMTP, Telnet, and TFTP. It also supports SSL certificates, HTTP POST, HTTP PUT, FTP uploading, HTTP form based upload, proxies, HTTP/2, cookies, user+password authentication (Basic, Plain, Digest, CRAM-MD5, NTLM, Negotiate and Kerberos), file transfer resume, proxy tunneling and more. It's particularly useful if you are working with web services. You can use the curl command to call web services right from UNIX command prompt, receive a response, check whether your server is healthy or not. You can write testing and monitoring scripts using curl command. It's similar to wget command, which is also used for HTTP requests but it's much more powerful and supports many protocols. 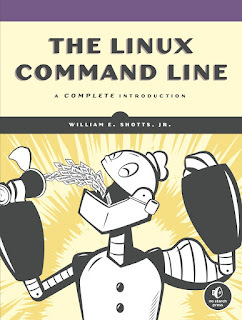 The curl command is by default available in many UNIX installation but if it's not you can always download the latest version from http://curl.haxx.se/download.html, the latest version of the cURL package is curl 7.43.0, released on 17th June 2015. cURL has different packages available for different UNIX flavor e.g. Linux, Debian, Fedora, ArchLinux, AIX, FreeBSD, Suse, Redhat, Ubuntu and even for Mac OS X and Apple iOS. Here are some of the useful examples of curl command in Linux. You can use this command to test your REST API from the Linux command line. You can also check if your web application is up and down by using curl command in a script and then running it from crontab or a scheduling application like Autosys. will wait for 3 seconds before timing out. BTW, -m is used for a couple of things in curl e.g. for the maximum number of redirects and maximum file size to download. Alternatively, you can use more verbose --max-time, --max-redirs and --max-filesize options. Worth noting is maximum time allowed for transfer is in seconds, which means -m 5 means 5 seconds. You can use this option to check whether your website or web service is responsive or not. Since GET is the default method, you don't need to specify it but if you want to send other HTTP methods e.g. PUT or POST, you can use this option. Btw, what is the use of POST request without sending any data? Let's see our next example, which allows you to send data to the server using curl command. You can also send POST request using curl -d option. -d is nothing but for data, which is sent as POST body. The data is expected to be URL-encoded. This will send query parameters as a POST request. You can also use -d option multiple times to specify different data pieces e.g. This will eventually be combined as -d 'lat=35&lon=139'. The -d option can also be used to submit HTML form data to the server. You can see The Linux command line: A complete Introduction for more details on sending data using curl command. The @ sign tells curl that whatever follows is a file name. BTW, the content of file must be URL encoded. You can also use --data instead of -d if you prefer the most verbose option. If you don't wish your password to be saved in the shell history, you can omit password part and curl will prompt for password when it tries to authenticate on the server. As I told earlier, -d instructs curl to use HTTP POST method to send a request and "status=.." will be sent as part of the request body. 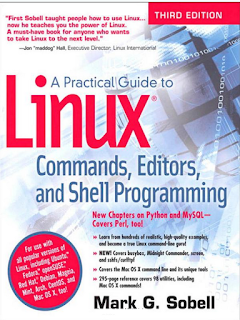 You can further read Practical guide to Linux command and shell editors to learn more about it. You can also use headers while sending data to server using HTTP post e.g. One side tip, you can split your UNIX command into multiple lines by using \ (backslash). It makes your command more readable, especially if it's getting long. That's all about how to use curl command to send HTTP request and receive a response. We have seen several examples of curl command ranging from sending simple HTTP request to timeout, with query parameters and different types of HTTP request e.g. POST, PUT, and DELETE. It's actually a must know tool if you are working with REST web services which return JSON or XML output. You can test your web services right from UNIX box, can build scripts to test and monitor them as well. As a Java developer, I use curl a lot when I work with web services based application.